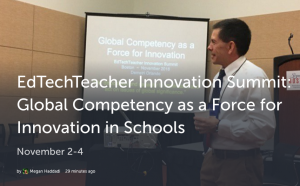 As a way of taking notes and sharing resources with other educators, I tweeted photos, web sites, and other during Demetri Orlando’s session “Global Competency as a Force for Innovation in Schools” at last week’s EdTechTeacher Innovation Summit. 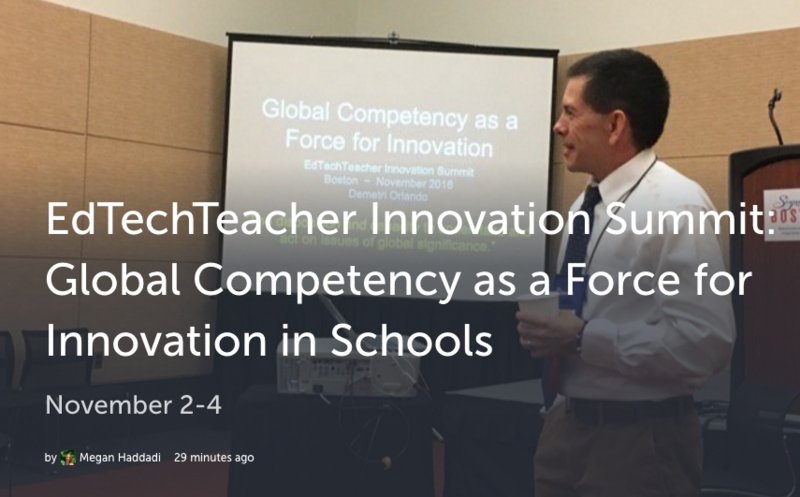 After the conference I compiled all of my notes using a website called Storify. The resulting project can be viewed here.